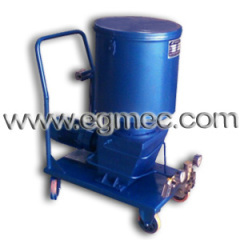 Portable Grease Pumps are equipped with portable cart for optional. 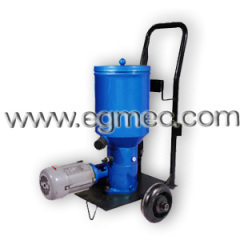 The pump is used for the transmission device driven by one or two electric motor, the grease is squeezed out from the outlet port when the pressure increasing and injected to the each lubrication spot. 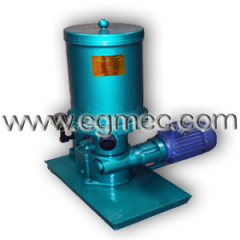 The reduction mechanism is mounted in the pump with compact structure, small vibration, low noise. Group of Portable Grease Pumps has been presented above, want more	Portable Grease Pumps and Portable Lubrication Grease Pumps, Please Contact Us.